In late 2012, during my tenure as an investment banking analyst, I worked on the sale of a declining media fulfillment and distribution business, “Company Z.” Company Z fulfilled and distributed products that were nearing technological obsolescence (think DVDs, CDs, Blu-ray) while directly competing against Amazon and other online retailers on a number of others. Company Z had been in business for over 20 years, having established a reputation for reliability, dependability, and product offering breadth and variation. Nonetheless, reflecting paltry growth prospects, weakening demand, and business model disruption, the company was sold for a low valuation to a synergistic buyer. With hindsight, even without considering the advent and popularization of streaming, the traditional media fulfillment and distribution industry was not long for the future. The industry faced competitive pressures from online distribution and fulfillment platforms that continued to innovate almost daily as well as changing customer expectations around media consumption. Industry players were suffering, helplessly standing by as revenues and profits dwindled while the shrinking market only intensified competition. In today’s ever-changing business environment, the unfortunate fate of Company Z is not uncommon. I see countless examples of great companies that fail to understand the changing competitive environment around them and as a consequence start down a path of eventual decline. But is this inevitable? Can companies learn to adapt and react to ensure their continued success and prosperity? The answer is yes. In my experience, there are methods of industry analysis that companies can use to foresee the ways in which they must adapt and evolve if they are to remain competitive and thrive. Michael Porter’s Five Forces analysis provides a (I’d venture to state the) structured framework for industry analysis. These forces include competitive rivalry, barriers to entry, threat of substitutes, supplier power, and buyer power. The chart below illustrates these five forces as well as a simplified view of their interactions. In this blog post, I’ll explore buyer power within the context of Company Z’s industry. Buyer power refers to a customer’s ability to reduce prices, improve quality, or “generally play industry participants off one another.” This potent force can offer insight into existing operational tactics and strategies that directly drive industry revenue such as pricing or consumer targeting, to name two, and can generally help explain why some companies fail while others thrive in a given industry. Take, for example, the evolving commercial property and casualty insurance industry. Buyers within that industry, the insurance brokers, have undergone rapid consolidation with hundreds of insurance brokers having been acquired by the largest industry players each year for the last five years. As a result, the surviving brokers control more and more premium and are slowly shifting leverage away from insurance companies who spent the last decades transacting with thousands of brokers. While improving insureds’ customer experience has been the popular trends as of late, in response to increasing broker buyer power, some insurance companies are investing even more heavily in enhancing their broker service quality. Before diving in, the first and most critical step in any industry analysis is accurately defining that industry. Labeling an industry simply as “media” or “wholesale distribution” does not work for a meaningful and instructive industry analysis. Without a specific definition, the final analysis may poorly reflect the environment in which the target company operates. For those analyzing any industry, Wharton’s Nicolaj Siggelkow, in his course Strategy and Competitive Advantage, highly recommends, if not requires, precise industry definition as a first step. In this case, Company Z operated in the media products wholesale distribution and fulfillment industry serving commercial consumers. 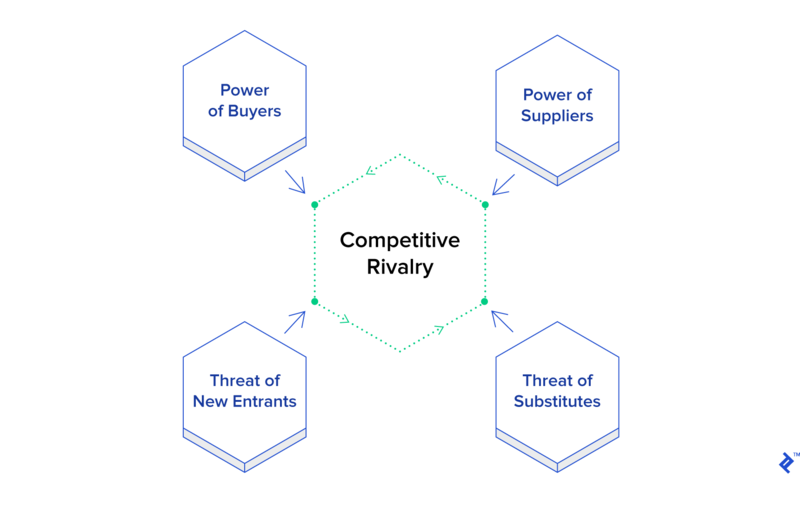 According to Porter’s Competitive Advantage Creating and Sustaining Superior Performance, industry buyer power can be broken down into two primary buckets: bargaining leverage, the measure of leverage buyers have relative to the target industry players, and price sensitivity, the measure of buyer sensitivity to changes in price. 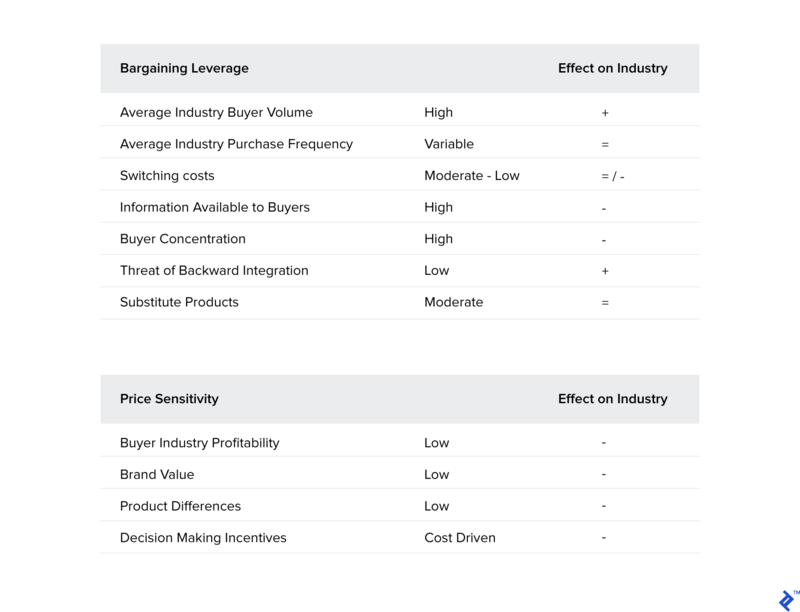 The higher the bargaining leverage and the more sensitive a buyer is towards a product’s price, the more power that buyer has, potentially resulting in lower prices, higher churn rates, and higher buyer surplus industrywide. We’ll explore these two buckets in greater detail below, using Company Z as a real-life example. A majority of Company Z’s industry’s products were sold wholesale to commercial consumers who then sold those products retail. As a rule of thumb, commercial consumers typically have more bargaining leverage than retail consumers since commercial consumers tend to buy in larger quantities and with greater predictability, as was the case with respect to Company Z. This illustrated two important factors that impacted buyer bargaining leverage across industries—buyer volume and purchase frequency. In the wholesale fulfillment and distribution business, up-front capital investments are required to build distribution assets and logistics, with maintenance expenditures following annually. Despite Company Z’s industry’s lightweight merchandise, the declining price of media products eroded unit economics while declining volumes chipped away at fixed cost advantages gained from scale. Since high volume customers allow businesses to spread their costs across more units, and underutilized stalled fixed assets can prove costly to industry players, consumers in our industry have higher bargaining leverage relative to our industry players. 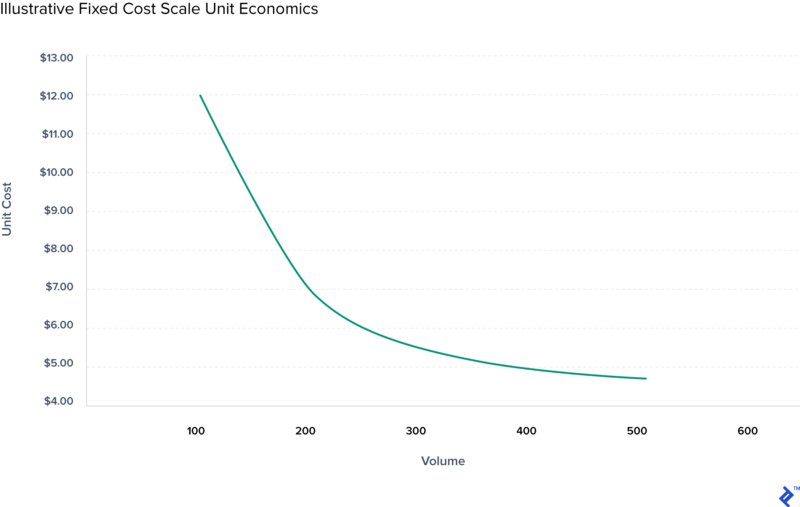 The chart below illustrates the decline in per-unit costs over higher customer volumes embedded within a high operating leverage expense model. The most natural factor that intuitively impacts bargaining leverage is the cost of switching—that is, the cost incurred by buyers to switch among industry competitors. Most people consider switching costs to be one-dimensional, but “costs” in this context must be defined broadly, coming to include factors any buyer would consider during procurement, including but not limited to financial costs, operational costs, reputational costs, quality costs, setup costs, and new supplier search costs, to name just a few. Across the academic literature, switching costs are segmented into procedural, financial, and relational costs. The hotel industry is a good example of an industry with low switching costs, selling services that are easily comparable (think hotels.com), have minimal search costs, and virtually no lock-in methods outside of reward programs created to manufacture switching costs. Meanwhile, the telecommunication industry during the early 2000s comes to mind as an industry that exhibited considerable switching costs. In the event a customer decided to switch providers, said customer would be required to ensure device/telecom provider compatibility, change telephone numbers, and learn a new phone plan. Just the very idea of these consequences are a powerful switching deterrent. Beyond switching costs, buyer information (with respect to competitive pricing, product specifications, sales process, etc. ), buyer concentration relative to the company, threat of backward integration, and substitute products will also come to impact industry player leverage. In Company Z’s industry’s case, media products were easy to understand with widely available information, and there were multitudes of small buyers, but a few large buyers represented a meaningful chunk of the market. There was limited threat of backward integration since customers would have considered Company Z’s business non-core with limited opportunity to achieve synergies, and there were a number of avenues from which retail stores could purchase these media products, such as Company Z’s competitors and online sellers. The second major component of buyer power is price sensitivity: how sensitive buyers are to a given price. It goes without saying that buyers always prefer to pay less for the same value; however, there are plenty of factors that impact when a buyer is more likely to negotiate. Company Z’s customers—think retail storefronts such as movie rental and music stores or general retailers—operated in a declining environment with revenues from media products falling slowly year after year. As a result, to maintain profitability, these consumers managed their P&Ls fiercely, reshuffling operations and negotiating pricing to cut costs, illustrating our first major factor of buyer price sensitivity, buyer profits (or lack thereof). Equally as important, brand value, product differences, and decision-maker incentives matter a great deal with respect to how sensitive buyers are to price. Brand value is a broad topic which must be explored in its own right, but for the purpose of this blog, brands generally command higher willingness to pay from consumers (think of how willingness to pay increases after only adding the name Hermes or Chanel to a handbag). Media wholesale fulfillment and distribution businesses, unfortunately, did not carry strong brands since their service across the industry was mostly commoditized and hard to differentiate (unlike the products the industry sold, which carried enormous brand value—value captured by Company Z’s suppliers such as Disney or Viacom). Incentives do matter. Businesses that serve commercial buyers should keep in mind that there are usually several people with varying goals involved in procuring products and services. Typically, the more expansive and extensive a buyer’s process is internally, often characterized by competing incentives, the more challenging it becomes for sellers to negotiate with them. Large corporations benefit from these types of deliberate friction-filled tiered decision structures with respect to negotiating almost anything from inventory purchases to company acquisitions and thus serve as a testament the impact these sales cycles have on industry players. The table below summarizes the factors that contribute to buyer power across the media products wholesale distribution and fulfillment industry serving commercial consumers. Overall, buyer power is high within the industry. While Company Z faced its fair share of challenging industry dynamics, generally, industry dynamics are not static; they are dynamic. As industries shift through the business cycle, from early growth to late growth to maturation then decline, buyer power, in addition to other industry forces, shift with them. Even within different stages of the business cycle, business model and technological disruptions may materially shift dynamics. To combat minimizing differentiation, Company Z began offering end-to-end inventory management services. Not only did this tactic allow Company Z to sell its products to consumers who otherwise wouldn’t have entertained selling media products in their retail location due to lack of expertise, this service also embedded Company Z within smaller customer operations, transitioning process control and completely integrating Company Z. By further integrating with consumers, Company Z effectively increased switching costs, as consumers would risk operational disruption to switch to unintegrated competitors. Many competitors began offering a similar service, reducing buyer power industrywide. 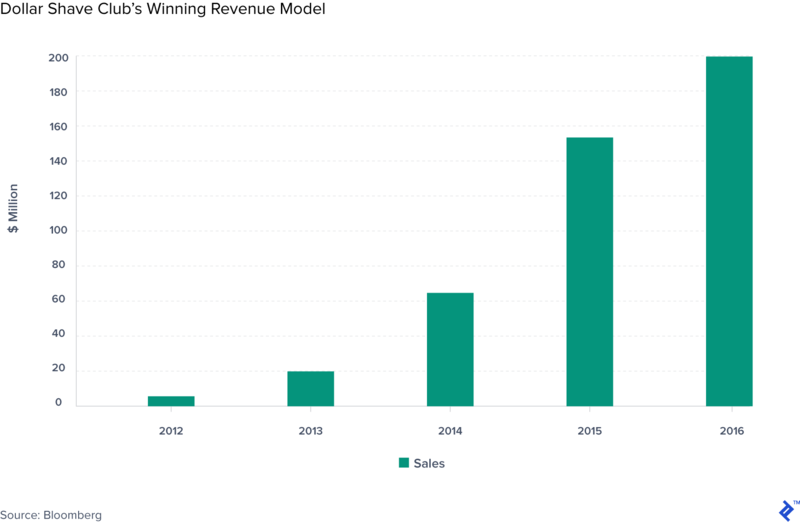 Over the last few years, many startups have entered into the marketplace with subscription-based revenue models. Rather than traditionally sell products as one-time sales, these businesses charge consumers monthly/quarterly/annually while providing their products synchronously. For example, Dollar Shave Club, a subscription-based seller of grooming products, operates a subscription-based revenue model mailing consumers razorblades and other grooming accessories on a monthly basis. Compared to a traditional brick and mortar convenience store, Dollar Shave Club (DSC) removed the need to even think about shopping and offered a personalized and consistent razor experience. Among the many disruption DSC’s achieved, their revenue model reduced buyer power when compared to the traditional shaving model as consumers became accustomed to the convenience and hassle-free nature of their product. DSC’s business model also forced other razor and razor blade providers to compete on subscriptions across the industry, changing not only buyer power but all industry forces. (As an aside, businesses that offer products or services that are constantly improved or used regularly are the best candidates for this type of subscription revenue model innovation). A famous, more traditional, business model evolution that also shifted industry dynamics was Hilti’s shift from one-time transactions to renting. Hilti is a power tool maker that sold high-quality tools into the construction industry. Competitors began selling more inexpensive “good enough” tools eating away at Hilti’s business. In response, Hilti began renting its products, selling “tool use,” for less. Hilti gained better control of customer needs and provided customers with access to the novel tools at their customer’s convenience revolutionizing the industry and its dynamics along with it. Understanding the power of buyers relative to industry players is a critical component of every industry analysis, whether you’re an investor, operator, lender, employee, or entrepreneur. A thorough examination of the two high-level drivers, bargaining leverage and price sensitivity, facilitate a more granular understanding of buyer power that ultimately helps explain long-term industry performance, growth opportunities, traits that separate winner from losers, shifts in pricing, incentives for product differentiation, and the “rules” governing customer relationships. Since buyer power is dynamic, it behooves businesses to maintain a strong sense for their own industry’s buyer power evolution especially as they consider new product/fixed asset investments or business model innovation. What factors might impact buyer power? Buyer power is impacted by bargaining leverage, the measure of leverage buyers have relative to the target industry players, and price sensitivity, the measure of buyer sensitivity to changes in price. What is Porter's Five Forces analysis? A structured framework used to analyze and understand an industry. The Five Forces are competitive rivalry, threat of new entrants, threat of substitutes, supplier power, and buyer power. A Wall Street-trained former Fortune 500 M&A and strategy VP, Jacob is pursuing his MBA at Wharton and has led over $2 billion in acquisitions and divestitures. Jacob has worked with both $100+ million companies and small, mid-sized businesses and appreciates the resource constraints they face regularly. As a freelancer, Jacob's goal is to expand your company's finance capabilities and execute financial transactions as painlessly as possible.